Awesome job "frogfreek"! 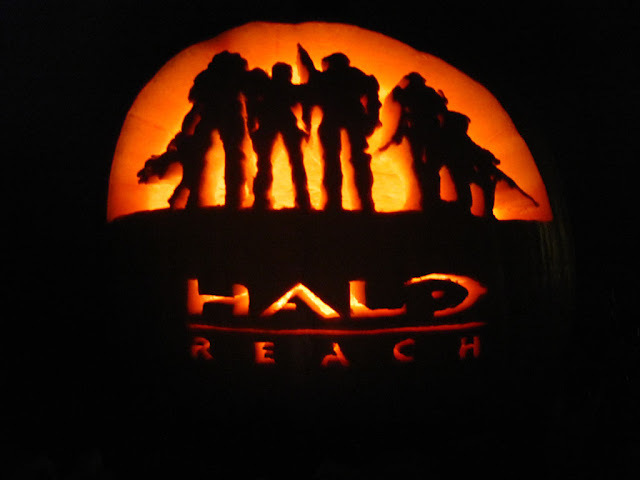 Halo Reach Pumpkin for the win! This pumpkin was not carved by "frogfreek"... this pumpkin was carved by my fiance, "The Ov3rdos3". I have the proof of these pictures in my gallery. Frogfreek stole this picture off of my fiance's Facebook page.... just saying.